Ada pertanyaan untuk Hotel Broadway Colaba? Dirancang untuk wisata bisnis dan plesiran, Hotel Broadway Colaba terletak strategis di Mumbai Selatan, salah satu daerah lokal paling terkenal. Kehebohan pusat kota terletak hanya 2 km dari sini. Untuk pilihan lokasi jalan-jalan dan obyek wisata lokal, Anda tidak perlu pergi jauh-jauh karena hotel ini terletak dekat dengan Parvati Villa, Colaba Causeway, Colaba. Di Hotel Broadway Colaba, setiap upaya dilakukan untuk membuat tamu merasa nyaman. Dalam hal ini, hotel menyediakan pelayanan dan fasilitas yang terbaik. 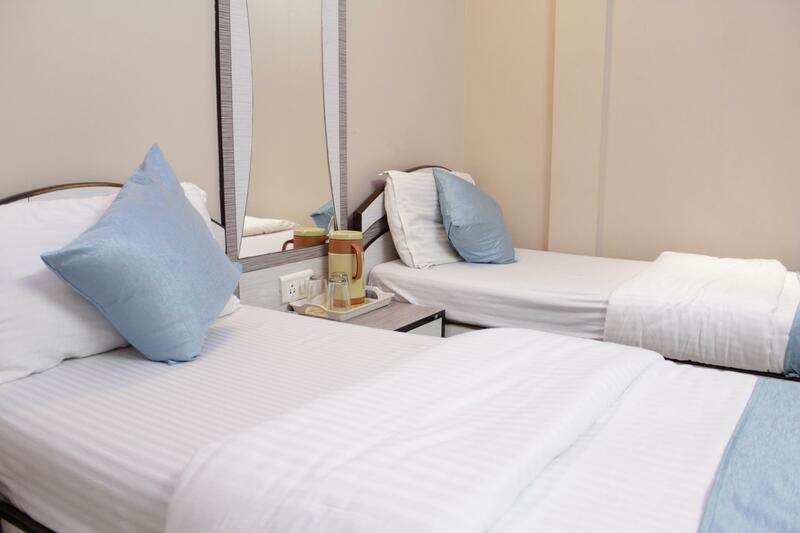 Untuk kenyamanan para tamu, hotel ini menawarkan layanan kamar 24 jam, WiFi gratis di semua kamar, layanan kebersihan harian, resepsionis 24 jam, check-in/check-out cepat. Semua akomodasi tamu dilengkapi dengan fasilitas yang telah dirancang dengan baik demi menjaga kenyamanan. Disamping itu, hotel memiliki berbagai pilihan fasilitas rekreasi yang menjamin Anda melakukan bermacam hal selama menginap. Ketika Anda mencari penginapan yang nyaman di Mumbai, jadikanlah Hotel Broadway Colaba rumah Anda ketika Anda berlibur. Properti tidak menerima pesanan dari pasangan yang belum menikah. Semua pasangan yang menginap di kamar yang sama wajib menunjukkan buku nikah pada saat check-in sesuai dengan hukum yang berlaku. Apabila tidak, properti akan menolak pesanan atau memesankan kamar kedua. Alkohol sangat dilarang di properti ini. Pengunjung dengan jenis kelamin berbeda tidak diperbolehkan berada di kamar tamu. 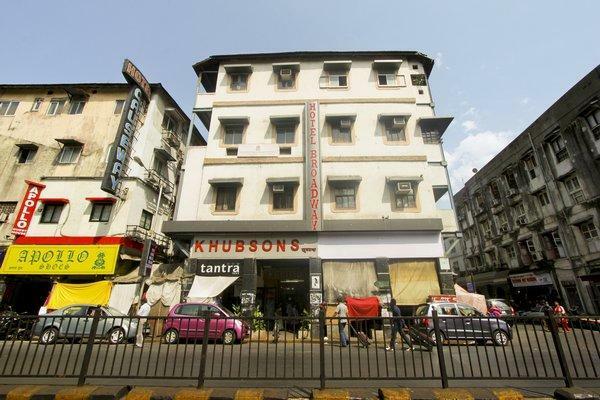 Good hotel for budget travellers right on Colaba causeway. We forgot a few things and returned for them after 3 weeks. The staff diligently kept it until we were back. The people running this hotel made me feel very uncoftable, they have too many rules, the only friendly person was the door man, the rest treated me like they were doing me a favour. being watch all the time, very small room, in three nights they never came to clean it or check the towels or even collect dirty dishes from breakfast, or collect rubish. breakfast is cheap; location is convenient to a traveler; staffs are all nice. 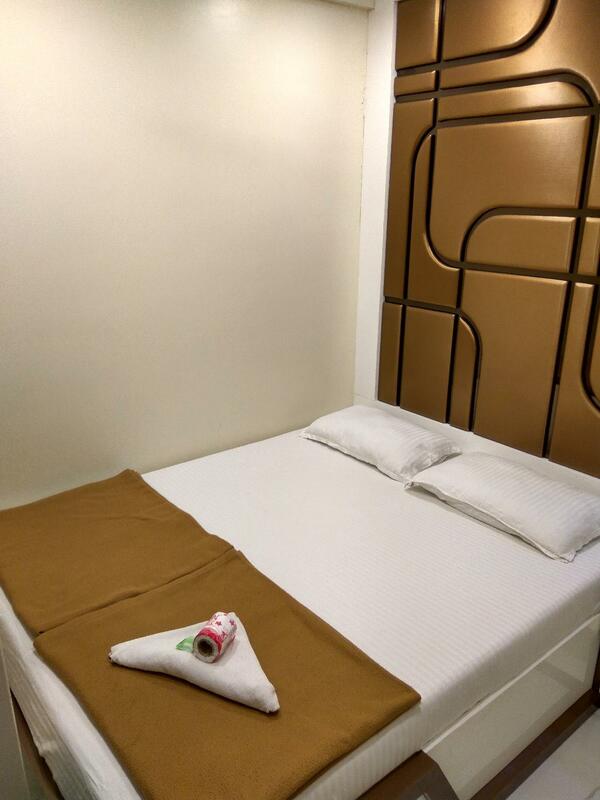 This hotel are suitable for travelers to take around Mumbai.The room space is narrow without a window, but is okay to shortly stay. Nothing special but fine for Mumbai. Small rooms but if you know that it is a good place to base yourself and not too expensive comparatively. Wifi seems to be an issue all over Colaba so dont rely heavily on getting it. You have to pay in the hotel but none of the restaurants we visited had it either. We ended up using an internet cafe for the first time in years... Although the room is small it has everything you need to be comfortable. Bed was fine but ask for a sheet as they initially only provide blankets. Easy walking distance, within 5-30 minutes for most attractions in Colaba and Fort area. It was a very basic two star. Plumbing and AC worked, which was great. But single bottom sheet (no top sheet provided) and towel were torn and many years old. Staff reluctant to be friendly, and could provide no tourist related information. Avoid triple rooms overlooking the street, as traffic noise was loud until early morning. Mumbai hotel prices are apparently high, and this hotel, for the basic conditions, was expensive. Felt uncomfortable, as no way to secure the door (ie chain lock or bolt) other than push the door knob button. Best reason to stay here is great location to Gateway, Taj Hotel, Museums, art galleries, historic walks, Sassoon Docks. Takes 50-90 minutes to airport by taxi. Mumbai is an expensive place to stay, but even so we felt that the Broadway was a bit below expectations. The rooms are very small (even smaller than they appear in photographs). Staff were courteous but cool. The big plus is location - very close to the main Mumbai attractions and to street food and restaurants. The room is a tiny shoe box. Thank goodness we only had to spend one night there. The hotel location is excellent, surrounding by shops, restaurants and only minutes away to the Gate of India. Though the room is small and basic but I have a good A/C in my room and do not have any issue about the noise and can sleep well. Good value for money. The staff is helpful and communicated well with me. I forgot to pick up my passport when check out, they drove all the way to airport and hand delivery it to me free of charge. 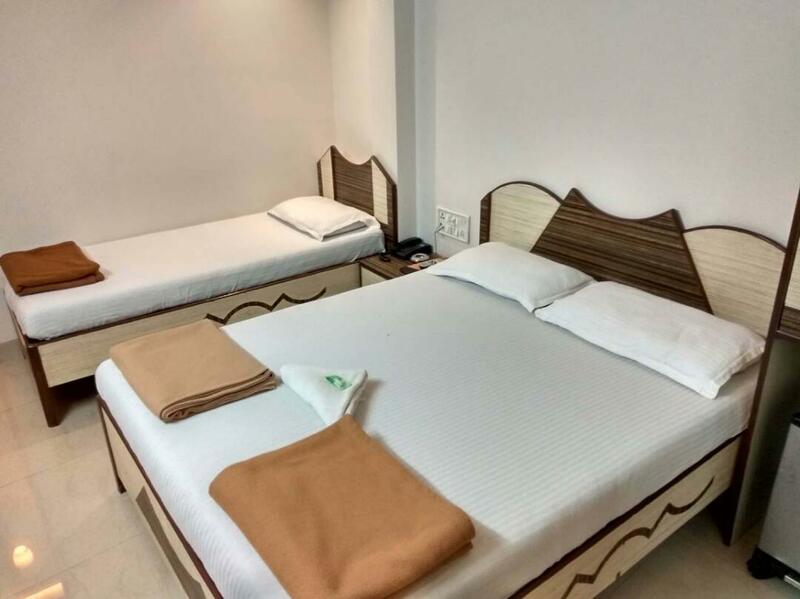 This hotel is in a prime location for exploring Colaba, just around the corner from the Taj Palace and Gateway to India and the vibrant Colaba Causeway, Leopolds cafe and near the cinema. The room has air conditioning, a good wifi connection which was good value and hot water. Staff were very helpful. I would recommend staying here and as a solo female traveller I felt very safe there. This hotel is right next to Leopolds bar, wish is why we choose to stay here. The rooms are nice, a bit small, but with good standards. Nice place to stay if you want to be right where things are happening. Good location and rooms nice and new , Arab run by good Arabs. The Indian behind the desk was an idiot though and there is no wifi in the rooms and they rip you off 200 rps. For lobby access. Rubbish! Stayed in a lot of budget hotels in Colaba and I would have to say this is one of the best by far. I thought the room was clean and the staff was very good. The location is great as far as Mumbai goes. Walk to the gateway, Leopolds, etc.... all within 5 minutes. The room I stayed in was small, but it was clean so I don't care. Cleanliness trumps everything in India! Nice and helpful staff as well.